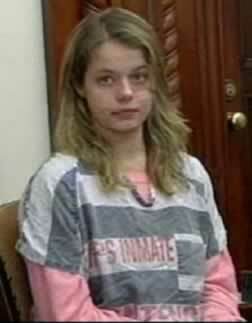 A variety of things are going down in the investigation of what Tot Mom, Elizabeth Johnson, did with baby Gabriel. Nancy Grace last night talked about an eyewitness having spotted Tot Mom meeting with a Hispanic male and a couple in their mid-30s just before baby Gabriel disappeared. But the best news is that a private investigator (PI) who charges as much as one million dollars a case is now searching for the 9-month-old baby boy. After having taken Monday off on Holiday, Nancy Grace actually had the nerve to claim that she was introducing bombshell just released photos of Baby Gabriel that were taken by Tot Mom, Elizabeth Johnson. Then seconds before going off the air, Nancy catches the nanny lying about the baby’s clothes being filthy.